All of the products which are available in OpenVAS are free, and most of the components of this particular software are licensed by the GPL (GNU General Public License). Most of the plugins of the OpenVAS software are written in the NASL (Nessus Attack Scripting Language). Read: Nessus Professional Vulnerability Scanner Free Download. 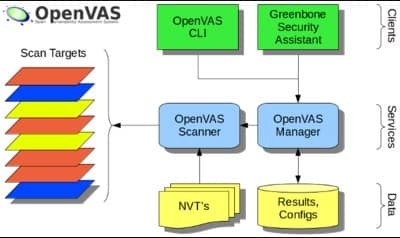 OpenVAS was started with the name of the GNessUs; its source code was copied from the Previous Open source scanning tool named Nessus after the developers of this software named Tenable Network Security changed its proprietary to the closed source in October in the year of 2005. The OpenVAS was initially introduced at the SecuritySpace at pentesters; it was genuinely discussed with the pentesters at the place of Portcullis Computer Security and then it was declared by on Slashdot by the Tim Brown himself. 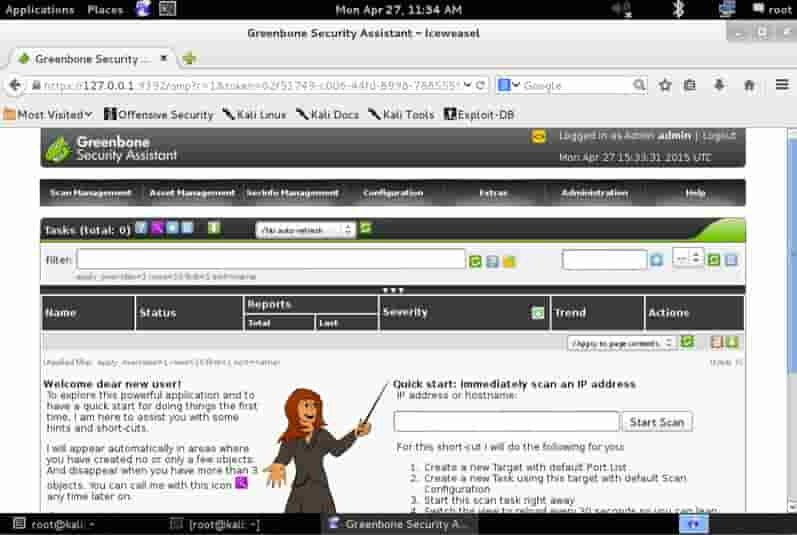 In 2008, a company based in Osnabrück, Germany which was named “Greenbone Networks GmbH” its primary purpose was to push forward the vulnerability scanner of OpenVAS. 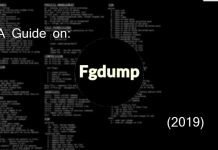 The first foundation is to perform plain vulnerability scanning and follow the vulnerability management solution. The second foundation to create a turn-key for the enterprise customers along with the appliance product. The third foundation is the continuous open-source conception for the creation of transparent security. The NVT’s (Network Vulnerability Tests) feeds daily updated by the Software scanner and operators. As we have discussed that the Vulnerability scanning is a very deciding or crucial phase of having a fully updated vulnerability scanner and the best penetration tester in the kit of your security tools. It can also make a whole lot of difference by helping the user scanned or discovered with all of the overlooked vulnerable items. Because of the following reason, the Kali Linux has packed the latest and all of the newly released OpenVAS libraries, and tools are included within Kali Linux. The Kali hasn’t changed the significant things in the release of this version and also in terms of running the vulnerability scanning software. The first thing that you have to do is make sure that the version of your Kali Linux is updated and you have downloaded and installed the latest version of the OpenVAS. 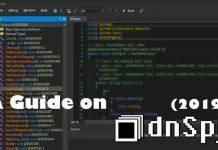 Once you have checked all of these simple but technical things, then the next thing that you have to do is to run the setup of Open VAS the setup file will be named as the “openvas-setup” command to install the OpenVAS. After that, you have to create an admin user, start up the various services and then download the latest rules. All of these settings can depend upon the speed of your internet connection and all other computer services, due to which it can take a lot of while if required. The script below helps synchronize an NVT collection with the ‘OpenVAS NVT Feed’. Restarting Greenbone Security Assistant: glad. User created with password ‘6062d074-0a4c-4de1-a26a-5f9f055b7c88’. 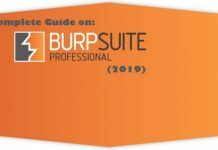 Read: Burp Suite Professional Free Download. Now you can simply start all of the services once you have configured the installed version of your OpenVAS. You can start these necessary services by just simply running the openvas-start file. Starting Greenbone Security Assistant: gsad. Note: If you are facing any issues regarding the OpenVAS then you can simply troubleshoot all of these problems with the help of the openvas-check-setup to identify any sort of problems or errors and troubleshoot it using this simple built-in service. This point depends upon the goals of the user and the target which is being tested. You will have to open an IP Address or even a whole length or range of IP Addresses (this option requires the Pro membership of the OpenVAS) or even the hostname. 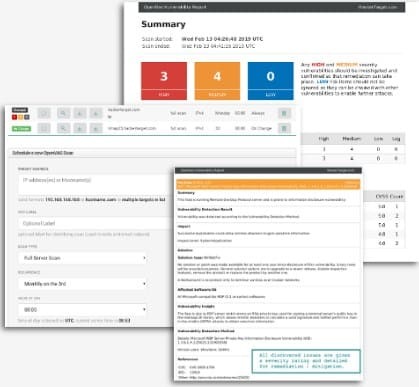 You can also enter a whole list of different targets to run as a single job or even as the separate jobs for a consolidated or centralized report. There are several multiple options of the scan type available for the users who want to perform the scan. Each scan type has its own functionalities and services. WordPress Scan: This type of scan performs the scan against the known vulnerabilities of the Word Press and all the other major or minor web issues. Joomla Scan: This scan is specifically for detecting the well-known vulnerabilities named as Joomla and the web server issues. Full Scan: This type of scan is a full scan against all of the vulnerabilities that can be found within the server, network or web applications. Web Server Scan: This type of scan performs the more focused tests against the web Applications and the web server vulnerabilities. Launching the Vulnerability scan: When you begin the complete vulnerability scan, it will start scanning for the risks or vulnerabilities against all of the files. The scan will complete within a few numbers of hours which also depends upon the selection of the target. Once it has accepted the self-signed credentials, SSL certificate and plugin the credentials for the users or admins. These passwords of the admin can be generated during the setup phase. That was all of the configuration required for the setting of the OpenVAS using the Kali Linux, and now you are ready to run a scan against the required or given the range. Read: Avast Free Antivirus Full Version 2019 Download (1 Year Trial). In this guide, we talked about the vulnerability scanning software named OpenVAS Free Download. It is excellent and efficient software when it comes to the scanning of the vulnerabilities against the different networks. We also discussed the brief history of this software, and after that, we also learned the working of OpenVAS. Then we discussed all of the scans types according to their advantages and uses. Then we also examined the Web interface of OpenVAS due to which you can perform the scanning of vulnerabilities over the web. OpenVAS is one of the most popular and Free to use vulnerability scanner tools available for Linux and Windows. It is open source and can be downloaded without any cost.